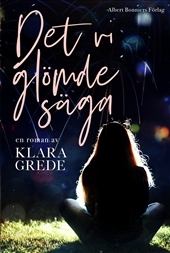 A heart-warming feel-good debut, in the vein of internationally bestselling Katarina Bivald, about daring to let go and finding love for a second time in life. Autumn in Stockholm for the recently divorced Ella, and her life is quickly collapsing. Her ex, Johan, is taking their two daughters and his new wife abroad for a full three months, leaving Ella to fend for herself. Caring for the two girls has been the focal point in Ella’s life since the divorce, so finding herself at a loose end leading up to Christmas is harder than she imagined. She moves home to her elderly grandmother to recuperate, and quickly slips into the same habits as the 95-year old. She spends her days mostly sleeping, in Johan’s old t-shirt, until she is suddenly awoken from her daze by brilliant idea. She will win Johan back, using the time he’s away to reinvent herself and become the Ella that Johan has always wanted her to be; fun-loving, care-free and sporty with a fabulous haircut! On her mission of reinvention she meets Niklas, who fits perfectly in the role of making Johan jealous, but that’s all it is, right? Her grandmother’s hot new neighbour, Martin, is complicating things further so she can’t quite shake the feeling that things are perhaps not panning out the way she had planned. And, to be honest, being the new Ella is proving to be rather exhausting. When Christmas draws near, she will need to make a choice once and for all. It turns out that Ella might be closer to having it all than she ever imagined. REINVENTING ELLA is a warm and humorous feel-good debut novel about listening to that little voice inside, about colourful shoes, the importance of family and daring to let go. And the importance of warm mittens in winter. Perfect for readers of Jenny Colgan and Helen Fielding.